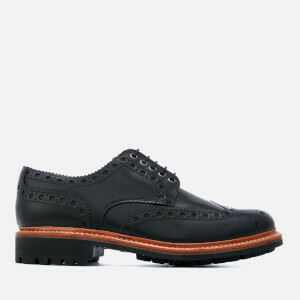 Men’s ‘Cavendish’ black leather shoes with an updated design based on the iconic 1461 silhouette. 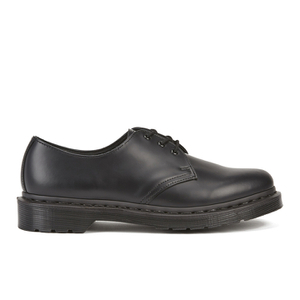 Crafted from full-grain Temperley leather, the sleek three-eyelet shoes are a third of the weight of the 1461 and detailed with the iconic yellow stitching and grooved sides. Constructed with a lightweight Phylon midsole, the shoes feature a slim rubber outsole for durability and added traction. Complete with a SoftWair insole for comfort and signature branding on the tongue. Upper: Leather. Midsole: Phylon. Sole: Rubber.